Having lived in Africa, I have seen the authors insights first hand. There is a human toll to 3rd world aid that has been largely ignored, til now. For those that have not read F. A. Hayek’s The Road to Serfdom (A situation that should be corrected as soon as practical), this book might be an eye opener, for those that have it will be confirmation of Hayek’s prognosticative abilities. 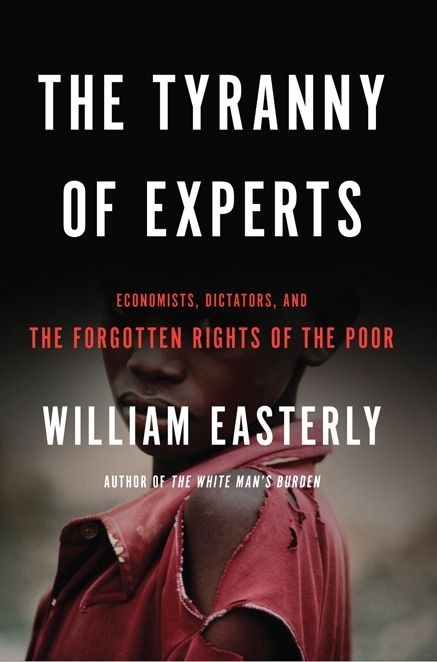 Easterly starts this book relating how the World Bank sanctioned the burning of homes, slaughter of livestock and confiscation of land belonging to poor farmers. He utilizes this graphic example to brilliantly expose the real consequences of liberal elitism. Assembled experts, hired at great expense, have created meticulously detailed plans on how best to develop poverty stricken regions. As they disrupt lives, and move people around like pieces on board game, these well meaning men and women rarely, if ever, consult those whose lives they seek to improve. This marginalization of individuals and ignoring of their rights is endemic in most 3rd world development programs. The result is the programs hardly ever live up to their hype, and come at high cost. While it has been proven that Rule of Law, and personal freedom, when unleashed inevitably leads to great leaps in development, top down efforts have been a mixed bag at best. Tyranny of Experts has much to teach organizations like the Gate’s Foundation when it comes to helping people help themselves. It also indirectly shows those living in more advanced nations why they should be wary of centralized programs in their own backyards. A well researched and timely book.